Mexican tenor Javier Camarena is the preeminent Mozart and bel canto specialist of his generation. Praised for his burnished tone, gleaming high notes, flawless coloratura, and veracious portrayals, he regularly appears in leading roles alongside today's foremost stars at the world's top opera houses, and was the face of Opera News's 80th anniversary edition this past January. Last season, as Ernesto in Donizetti's Don Pasquale, he became only the second singer in Metropolitan Opera history to perform encores in multiple productions at the house, after the audience demanded a repeat of his aria "E se fia che ad altro oggetto." This followed his triumph in 2014, when he joined the ranks of Luciano Pavarotti and Juan Diego Flórez to become only the third singer in 70 years to give an encore on the New York stage, having stopped the house in consecutive performances of Prince Ramiro's aria "Si ritrovarla io guiro" in Rossini's La Cenerentola. 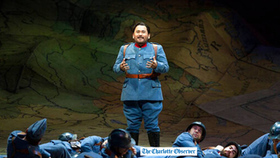 Camarena went on to repeat the same feat in La fille du régiment at Madrid's Teatro Real, marking only the second time that a singer had given an encore there since its reopening. In 2017-18 Javier Camarena sang his debut at the LA Opera as Nadir in Bizet's Les pêcheurs de perles, followed by his role debut as Fernando (La Favorite) and as Edgardo (Lucia di Lammermoor) at Madrid's Teatro Real. He then returned to the Metropolitan Opera for his role debut as Idreno in Rossini's Semiramide. 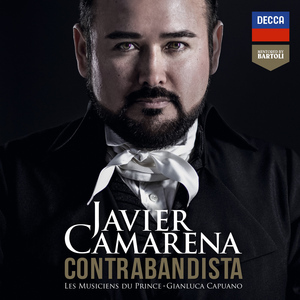 2016-17 also brought a number of key firsts: Camarena launched the season with his house debut at London's Royal Opera House, singing Almaviva in Il barbiere di Siviglia, before reprising the Rossini role at the MET and Zurich Opera. At Barcelona's Gran Teatre del Liceu, he gave his first performances as the Duke of Mantua in Verdi's Rigoletto. He made his house debut at Spain's Opera Bilbao as Don Ramiro, and made further house role debuts as Lord Arturo Talbo in Bellini's I puritani at the MET and in Andreas Homoki's production for the Zurich Opera. While in Zurich, he gave his recital debut on the house's main stage, where recital partner Ángel Rodríguez joined him for a pairing of Donizetti and Rossini arias with Mexican song. Past seasons saw his homecoming at Mexico City's Palacio de Bellas Artes, for his role debut as Talbo in a new production of I puritani, he made headlines, selling out all five performances. At the Zurich Opera, he gave his first performances as the Conte di Libenskof in a new staging of Rossini's Il viaggio a Reims, and reprised both his star turn as Ernesto and his portrayal of Fenton in the company's season-opening production of Verdi's Falstaff. He sang Almaviva and returned to the Bavarian State Opera and Vienna State Opera, where his appearance in a new treatment of Il barbiere di Siviglia streamed live to audiences around the world. With a program of Beethoven, Liszt and Tosti, he made recital debuts at Chicago's Harris Theater and Washington's Kennedy Center in company with Ángel Rodríguez, who also joined him for the prestigious Rosenblatt Recital Series at London's Wigmore Hall. It was at the Palacio de Bellas Artes in Mexico City that Camarena made his professional debut, as Tonio in a 2004 staging of La fille du régiment, and he has since returned to the house for three further productions. In 2007, he joined the ensemble of the Zurich Opera, where he has appeared in a full 15 productions to date. Four years later, he made his debut at the Metropolitan Opera as Rossini's Almaviva, which is one of the signature roles for which he is best known; others include the same composer's Don Ramiro and Comte Ory; Mozart's Belmonte and Ferrando; Donizetti's Nemorino and Arturo; Verdi's Fenton; and Bellini's Elvino. 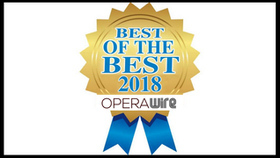 Equally celebrated for appearances at San Francisco Opera, Paris Opera, Barcelona's Gran Teatre del Liceu, Dresden's Semperoper, and the Vienna and Bavarian State Operas, the tenor has collaborated with such eminent conductors as Claudio Abbado, Marco Armiliato, Maurizio Benini, Bruno Campanella, Giuseppe Finzi, Daniele Gatti, Fabio Luisi, Zubin Mehta, Evelino Pidò, and Franz Welser-Möst. 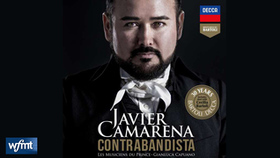 Camarena's discography includes three solo titles for Sony: Recitales (2014), a live recording of arias by Rossini, Scarlatti, and Donizetti with songs by Mexico's Agustín Lara, María Grever, and others; Serenata (2015), a collection of songs by Lara and his compatriots; and a Latin pop album titled Javier Camarena Canta a Cri Cri (2016). He appears on numerous operatic DVD/Blu-ray releases, captured live at Europe's leading opera houses. Filmed at the Zurich Opera are Mozart's Così fan tutte (EuroArts, 2010), Verdi's Falstaff (C Major, Unitel Classica, 2012), and, with Cecilia Bartoli, Rossini's Le Comte Ory (Decca, 2014) and Otello (Decca, 2014). Captured at the Salzburg Festival are Mozart's Die Entführung aus dem Serail (ArtHaus Musik, 2014) and Verdi's Falstaff, with Zubin Mehta leading the Vienna Philharmonic (EuroArts, 2014), and from Opéra Bastille comes Bellini's La somnambula, starring Natalie Dessay (France Télévisions, 2010). The tenor may also be heard on live concert recordings of Gounod's La Colombe, with Mark Elder conducting the Hallé (Opera Rara, 2015) and of Schubert and Mozart masses under Claudio Abbado's leadership at the Salzburg Festival (Accentus, 2013). Born in Xalapa in Mexico's State of Veracruz, Javier Camarena studied with mezzo-soprano Cecilia Perfecto at the Universidad Veracruzana before completing his musical studies with honors under Hugo Barreiro and Maria Eugenia Sutti at the University of Guanajuato. In 2004, he took first prize in Mexico's Carlo Morelli National Singing Competition, and the following year he won the Juan Oncinas Award at Barcelona's Francisco Viñas Competition, after which he was invited to join Zurich's International Opera Studio under the mentorship of fellow tenor Francisco Araiza. From 2013 to 2016, Lideres Mexicanos included Camarena in their list of Mexico's most prominent leaders, and in the 2014-15 season, Quién magazine named him as one of 50 leaders transforming the nation. Married with children, he lives in Zurich, where his hobbies include cooking, movie-going, video-gaming, and sightseeing. 7 Garcia: O ciel ! de ma juste furie comment reprimer le transport?